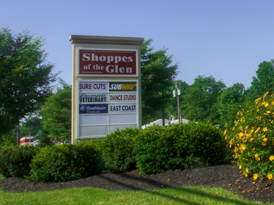 With easy access to Route 206, I-295 and I-195, the Shoppes at the Glen is a neighborhood shopping center with excellent customer traffic in Bordentown Township. Premier frontage on Rt. 541 and easy access to I-295 and Route 130 make Springside Commons in Burlington Township an excellent location to place your business. Located near Routes 206 and 130, as well as I-295 and I-195, Hillview Plaza is a neighborhood center in Bordentown Township with a history of long-term use by established businesses. Whether you're a small business owner looking to set up shop near major routes or a franchisee who wants to open a new location in an established shopping center, Schino Property Management has the prime retail units that you seek. 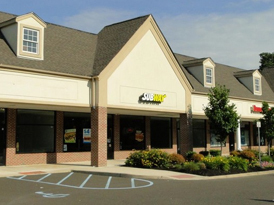 Our commercial rental properties throughout South Jersey are all found in close proximity to heavily trafficked roads and are also located in well-established neighborhoods. In addition to being optimally situated, all our available commercial space for lease is also well-maintained and attractive. Our highly skilled management team and support staff are dedicated to ensuring that our commercial tenants always look inviting to their potential customers. At Schino Properties, we believe that our tenants should always feel that they are being empowered by their property management company instead of hassled by them. We take a great deal of pride in the exceptional communication and rapport we maintain with each business that uses our commercial space for lease. With our unique combination of expertise, experience, and personal commitment, we are able to ensure that your business storefront and property space sets you up for success and enables your business to excel.